Acrobatic Performers – acrobats and aerial performers can really bring the wow factor to your event! 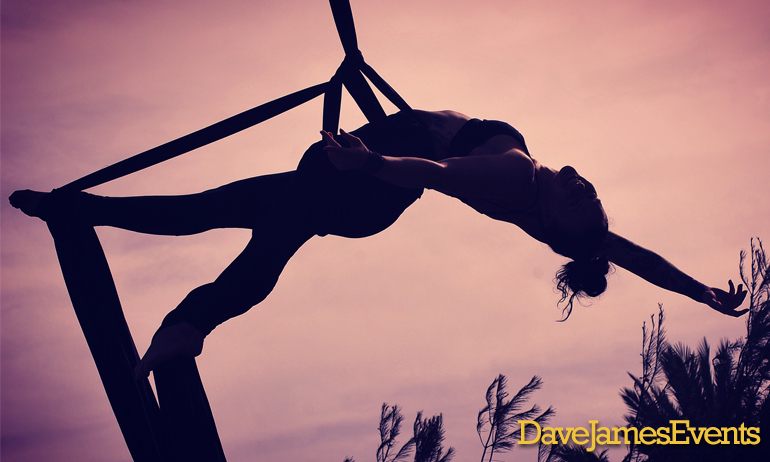 Dave James Events can provide circus acrobats and aerial performers who specialise in aerial silks, rope and hoop performances for any event or party. Add that wow factor to a corporate event or a venue launch! Aerialists can add an amazing wow factor to any event from a wedding, birthday party, club opening or even corporate events. To find out more, please call, text, or WhatsApp +34 684 246537 or simply fill in the form below and we will get back to you.